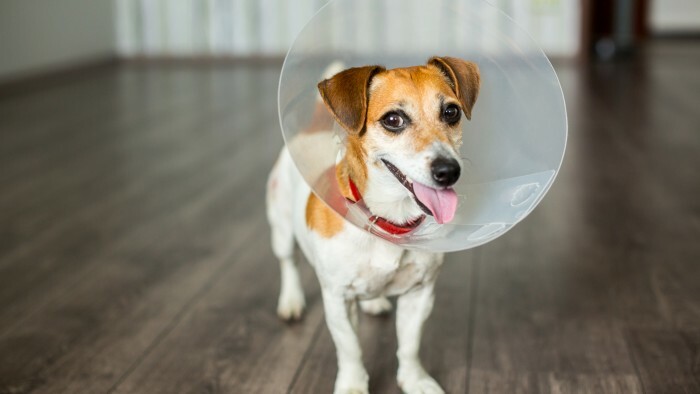 Whether you are seeking an elective surgery (spay/neuter) for your pet, if your pet has injured itself, or if they have developed a condition which requires surgery, we are able to offer a safe, clean and professional environment to do so. Here at Woodbine Animal Clinic we believe strongly in pain management. We use a variety of pain medications either on their own or in combination depending on the procedure to assure that your pet is as comfortable as possible both while here at the clinic and once home. Ovariohysterectomy is the surgical removal of the uterus and ovaries and is usually performed in dogs and cats around the age of 5 to 6 months. Performing the spay procedure at this time prevents the first estrus cycle (going into heat). The primary reason for this procedure is the prevention of unwanted pregnancies, but secondary reasons include the prevention of infections, cysts, tumors and unwanted behavior. Castration is the surgical removal of the testicles and is most commonly preformed around 6 months of age. In dogs, it prevents roaming, aggressiveness, unwanted breeding, prostate disorders and testicular tumors, in cats, it can preventive against fighting, roaming, urine spraying and odour. Onychectomy, is the removal of the claw and the third phalanx on each digit. It is an elective procedure that prevents cats from causing damage to owners and household items. Declawing is often done at the same time as spaying or neutering to avoid additional anesthetic. This procedure is best done in younger cats, as they will have an easier time healing, and a shorter recovery time. Declawing is a fairly painful procedure, for this reason we will administer pain medications before surgery has begun via IV fluids. This will continue during and after the surgery until the end of the day, at which point they will be switched to both oral and topical pain management. We will keep your cat in clinic for up to three days to ensure that he or she is comfortable and healing well before going home. 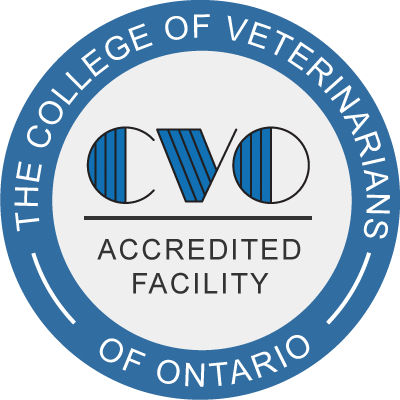 At Woodbine Animal Clinic, declaw procedures are done ONLY with a laser. Using this method reduces pain, bleeding and swelling for your pet. Pets can commonly develop various sized and shaped lumps. Frequently, lumps are removed and sent to a veterinary histopathologist to determine the type of tissue and whether it is benign or malignant. Removal of the lump often requires that the pet be put under general anaesthetic. Foreign bodies are objects that are ingested by patients that cannot be digested naturally. When this occurs, it is common that the object must be removed surgically in order to control any clinical signs such as vomiting, diarrhea etc. Removing the object will also avoid any potential blockage or trauma of the gastrointestinal tract. Foreign Body removal is a procedure that is always preformed under general anesthetic, as it requires the veterinarian to surgically enter the intestinal tract or stomach. Hospitalization and intravenous fluids are required to ensure a proper recovery from this invasive procedure.